Niagara Falls is one of the world’s great wonders. 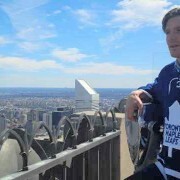 To Canadians, Niagara Falls is ‘the spot’. All through the year locals visit Niagara Falls; whether to a resort, the casino, or just to check out the Falls; it’s our own local adventure… Our Las Vegas. If you’ve never been before, or if you’re thinking of checking it out again, you’ll definitely want to check it out. 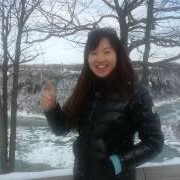 There are two main ways in which you and your friends/family can go to Niagara Falls if you are vacationing in Toronto. The first is to go on your own, either with a bus or train. The rates for this are typically between $40-50, with riding times from two to three hours each way. 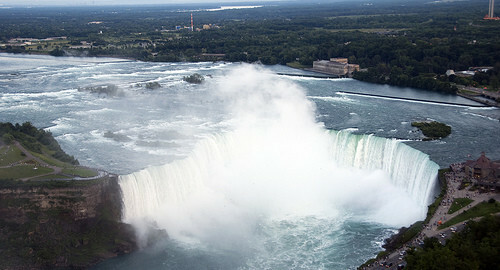 The second option is to visit Niagara Falls with Queen Tour Niagara Falls tours from Toronto. 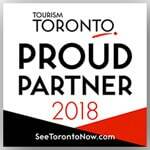 If you choose to travel with us, we will pick you up from your Downtown Toronto location, or Dundas Square. The ride to Niagara Falls will be approximately an hour and a half long, depending on traffic. If you choose to go to Niagara Falls on your own, you can buy tickets with Greyhound or Via Rail. Since the Greyhound bus won’t be the most comfortable or enjoyable ride, the VIA Rail train will be a better option, and it should only be around ten dollars extra per person. 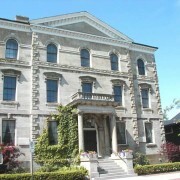 If you go to Niagara Falls on your own you can stay at a hotel or resort and travel at your own pace. It is a good idea to go on your own if you want to stay for several nights. We recommend travelers rent a car. 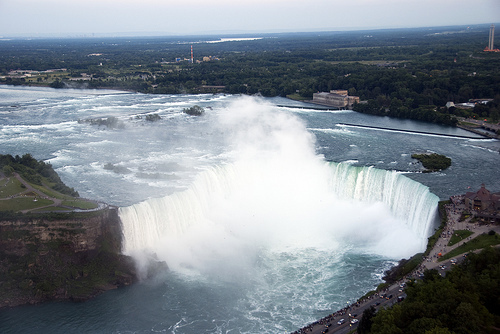 If you do not plan to take a Niagara Falls sightseeing tour, the car will be very convenient. For most tourists and even locals, taking a Niagara Falls sightseeing tour will be the most rewarding experience available. It is the most value friendly option when taking into account all expenses such as transportation and attraction costs. The tour will be approximately 8-10 hours. Typical pick-up times are around 8 AM. You will learn a great deal about Toronto, Niagara Falls, Ontario and Canada. 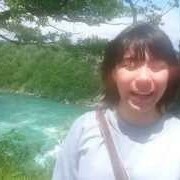 Since our tour guides are so friendly and experienced it will feel like a personal Niagara Falls sightseeing tour whether you are on our minivan or bus. We strive to make it the most enjoyable experience possible. When you drive with Queen Tour you can be sure that you are riding safe, since road safety is our top priority. 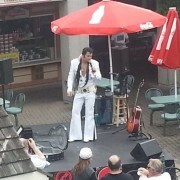 Queen Tour will make sure you leave your Niagara Falls sightseeing tour with a smile! We are highly recommended on TripAdvisor. 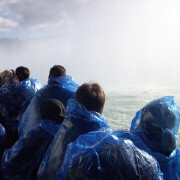 Since we offer guided and narrated Niagara Falls sightseeing tours, you will always know what’s going on. You won’t have to worry about getting lost or thinking of where to go. We have created the most enjoyable tour schedule possible where you will experience the most famous and must-see sights in Niagara Falls. Some of these incredible experiences include: the Niagara Whirlpool Rapids, Niagara-on-the-Lake, a Niagara boat cruise, and much more. This tour will be an extremely memorable adventure whether you are traveling alone, with family or with friends. We take many guests who travel alone (many travel on business trips or visit family who do not have free time). We will accommodate you to make sure your experience is nothing but incredible. 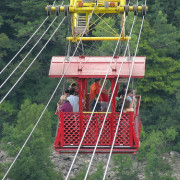 This tour is designed for tourists but will also be great for locals and newcomers to Canada. The feedback we receive about the tour is overwhelmingly positive from tourists, locals and newcomers. Whenever we receive new ideas on how to improve the Niagara Falls sightseeing tour experience we take it seriously and do absolutely everything we can do make sure our tour remains of top quality. Queen Tour takes competition seriously! 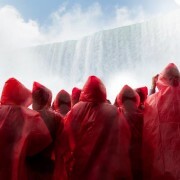 It is our goal to be the absolute best Niagara Falls sightseeing tour operator in Ontario. We are constantly improving our tour to meet everybody’s needs and desires, and match it with affordability. This is why we have been in business for over twenty years. To book your Niagara Falls tour, click here.